Eva Green was back on the red carpet for the world premiere of Disney’s ‘Dumbo’ on Monday (March 11) in Los Angeles, California. 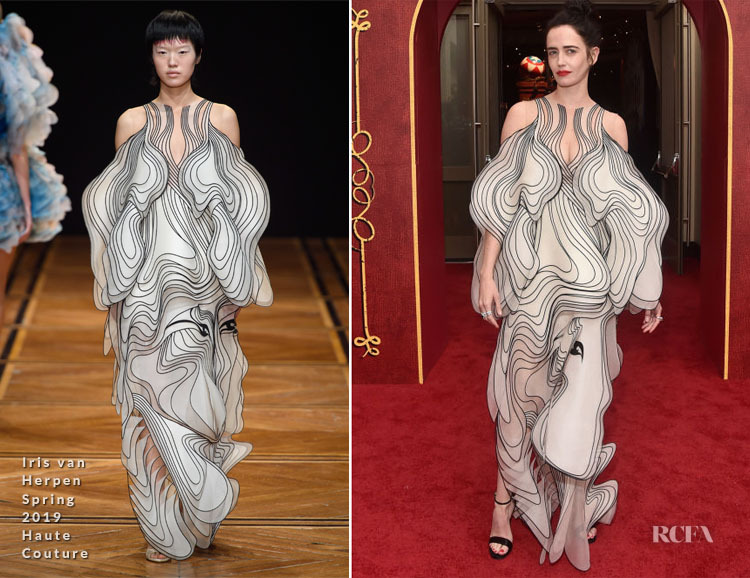 There are very few who can bring the Iris van Herpen Spring 2019 Haute Couture cloud-like dresses to life, and Eva is one of them. Black is usually her colour of choice, but on this occasion black only outlines the white silk to create ‘anamorphic faces’ embedded into the wavy layers. You’ll note that the illusion panel is doing its job on this occasion, which didn’t translate on Naomi Campbell. When you rock a look like this only a high bun and a red lip is required.